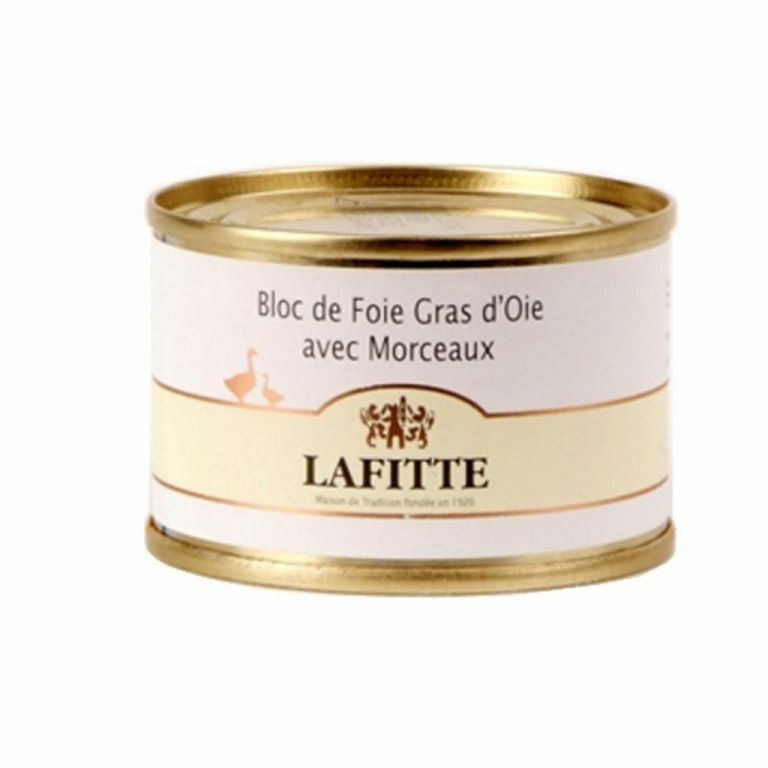 Bloc of goose foie gras with 50% pieces Lafitte is handmade with goose foie gras, whole foie gras pieces (50%), water, salt, sugar, pepper and spices without using any perseverant or artificial additives. 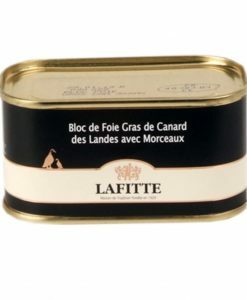 This canned foie gras has to be entered into de refrigerator 6 hours before its consumption to obtain a better consistency and texture. 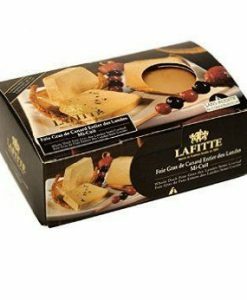 The bloc of goose Lafitte can be accompanied with sweet wines, such as Sauternes wine from Bordeaux or the Hungarian wine Tokaji. 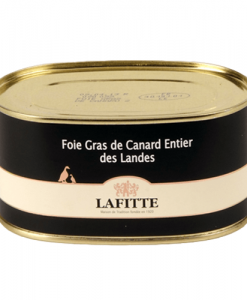 Lafitte goose Foie Gras 400 grs. 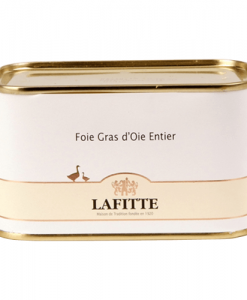 Lafitte duck Foie Gras 400 grs.